Local artist Norma Jean Rollet will be the featured artist at the Brandon Artists’ Guild September 2nd through November 3rd. Her medium, the exhilarating color and luminosity of soft pastels, has the purest form of color intensity. The pigments used in pastels are the same as those used to produce all colored art media, including oil paints. The color effect of pastels is closer to the natural dry color pigments than that of any other process and is made with permanent pigments. Pastel painting can endure unchanged for centuries and are not susceptible, as are paintings made with a fluid medium, to the cracking and discoloration that result from changes in the color, opacity, or dimensions of the medium as it dries. 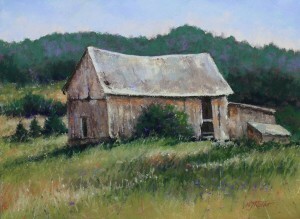 Combined with all the possibilities of soft pastel medium and the classical realist style of her art, Norma’s work has the depth and atmosphere usually reserved for oil paintings with extensive color blending and glazing techniques. But, soft pastels are her passion with plein air painting her preferred venue. She can be seen participating in many of the Vermont plein air events as well as set up on the side of the road creating her art. She uses as many as twenty layers of pastels crystals to produce her realistic and atmospheric painting, creating her signature luminosity in each finished piece. Norma’s work has appeared in numerous national juried shows including in 2015, The Pastel Society of American “Enduring Brillance”, the Degas Pastel Society 19th Member Exhibit and the Pastel Painters Society of Cape Code “For Pastels Only”. She has also won awards in the Vermont Pastel Society 2014 and 2015 juried exhibit. No matter the location, Norma states, she “loves to choreograph colors, shapes and values into classical representational art. 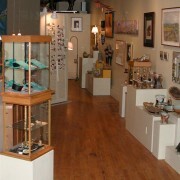 With the exquisite Vermont Landscape subject matter and ever changing lighting the possibilities are endless”. And she will always add, Soli Deo Gloria.